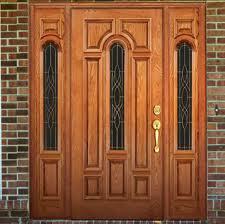 Front Doors have great importance for your house, they are more than the entry ways for your house. Front door symbolizes a nice way to show off the favorable impression and personality of your house on the one who visit your house. Front doors are regarded as the main focal point of the house no matter what color and style you designs it with. Therefore, choosing the correct front door for the great looks of your house is very important. At the time of going through various types of doors available at the store, you have to keep in mind about the architectural design of the house and what type of front door will suit it. Let’s take an example, if the design and style of your house is compatible with Victorian appearance, you will choose the front door suitable to the style of the house. This will enhance the beauty of the house and it will look more appealing. A perfect and correct finish is also an important point for consideration at the time choosing the front door of the house. You can go for a wood stained door and also a painted one. But stained doors will show more wood grains than painted one, therefore if you want to style the door with timeless look, you must choose a stained door. If you want to maintain the beauty and perfection of the front door than you must renovate or polish the door once in few years. Another very important factor is choosing up the correct material. If you choose the front door made up of steel, glass or some solid wood then you must focus that appearance of the rest of the house should be compatible with it. Steel is much durable material as compared to the wood, and glass also is a great material for front door only when it is doubly layered. You should make your whether you want custom made or a pre-made model. 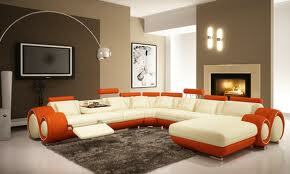 You can simply approach the nearest furniture store to purchase the required model with appropriate measurements. However, the custom models take longer time as they are constructed as per the specifications provided by you. Another important factor that requires your attention is that whether the front door must be single or double layered door. Mostly people approach for single doors but double models are much appropriate comparatively. It makes very convenient for you to move the furniture and other articles in and out of the house very easily. At last, the model you chose must be of the right size. It must be a little bit undersized so that it can fit in the walls and framings properly. Price is the major factor to consider. Don’t go for a poor quality model with cheap prices, it will be headache for you for a long time. Building a front door is like an asset, paying a bit extra for a good looking and appealing one won’t be a loss.